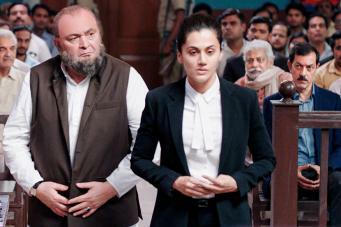 Directed by Anubhav Sinha, one of the films that has really intrigued fans is Mulk, starring Rishi Kapoor, who teams up with actress Taapsee Pannu for the thought provoking drama that raises questions about religion, patriotism and societal issues in India. The film follows the story of a good Muslim family, headed by Rishi Kapoor’s character. The family’s son has been accused of planning a terrorist attack and as people begin to turn on them, courtroom proceedings begin. Defending them is their Hindu daughter in law, played by Taapsee Pannu. Mulk also stars Rajat Kapoor, Prateik Babbar and Ashutosh Rana and all of the cast went through an extensive prep so that once they hit the set they were completely prepared. And they were because the film was shot in only 27 days! Mulk is set to release in cinemas on 3rd August 2018. 16 queries in 0.470 seconds.